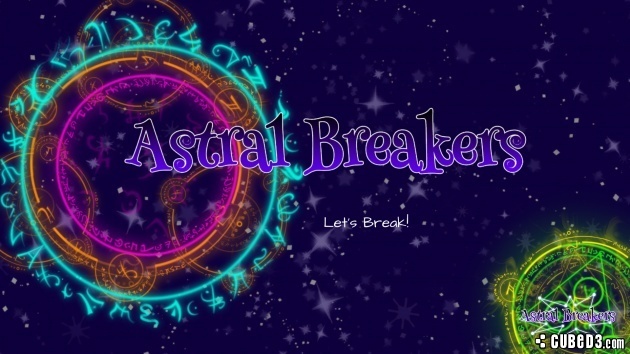 Interview: Intropy Games Talks With Us About Their Upcoming Wii U eShop Title Astral Breakers! 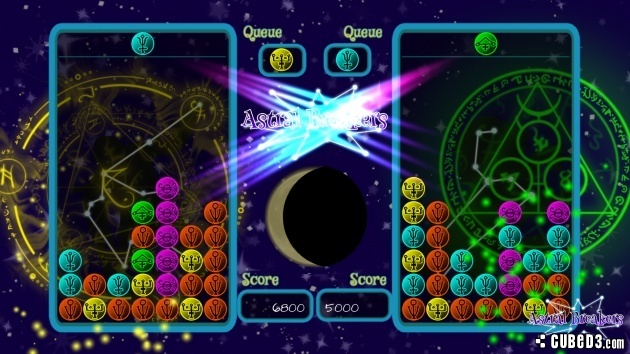 We recently had a chat with the husband and wife duo of Intropy Games about their upcoming Wii U eShop puzzler Astral Breakers and we actually learned quite a bit of new info regarding their game! We know you'd like to jump right in so here's our interview! Interview With Intropy Games wrote: Thanks for taking time out of your busy schedule for our interview! (Intropy) Thanks for having us! (Intropy) Astral Breakers is a brand new cooperative/competitive action puzzle game coming to the Wii U eShop this summer. The Zodiac Constellations have gone haywire, and the eternally sarcastic Kira the Star recruits the player to help save the cosmos by defeating each Constellation in a sphere-dropping, combo-crushing puzzle battle! What separates Astral Breakers from other puzzle titles? (Intropy) We are a husband and wife team that has a difficult time finding games that we can play together. A few months ago during a conversation, we realized that one of the genres we have the most fun playing together are puzzle games like Puyo Puyo and Super Puzzle Fighter II Turbo -- so creating a puzzle game was a brilliant idea. With this perspective in mind, we crafted a few different multiplayer modes in Astral Breakers including a competitive mode where players can attack each other by sending Astral Spheres to their opponent and a cooperative SuperNova mode where players work together to halt an impending supernova explosion by clearing the screen of Spheres. 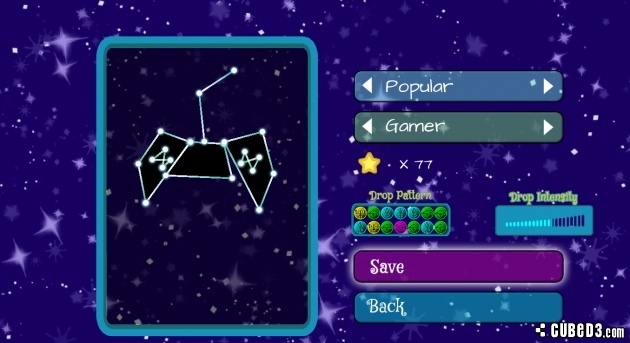 Also, players can draw their own Zodiac Signs using the Wii U GamePad and take them into battle. The more complicated the design, the more powerful their attacks can become. We feel Astral Breakers is a game that is easy to pick up and play, but at the same time is packed with interesting strategies to keep players coming back. How important is the multiplayer aspect of the game? (Intropy) Multiplayer matches can get intense! We showcased on the game at various video game conventions around the Midwest as well as fighting game competitions (like Combo Breaker in Chicago). When professional fighting game players got their hands on it, they quickly adapted to the game, building up brand new strategies that even we as the developers of the game hadn't seen before! Could you tell us a little more about the team that's working on the game? (Intropy) Like we said said, we're a two person husband-and-wife studio. Michael "Miggs" Migliacio is on the project part-time producing the game and Lisa Walkosz-Migliacio is full time working on the coding, art and music. With Miggs' experience as a professional eSports journalist and Lisa's past experience crafting casual games, we like to say this game is "balanced with eSports in mind, but finished with a casual touch." How long has Astral Breakers been in development? (Intropy) The initial concept dates back to the beginning of 2014. Lisa started with a sprite sheet and an idea... many, many hours and iterations later, here we are. Thanks for answering our questions! Hopefully we'll have the opportunity to interview you again sometime! (Intropy) Thank you for talking with us! If you want to find us on Twitter, you can follow @intropygames, @angstygaijin, and @missfacetious. The latest information on Astral Breakers can be found at http://www.intropygames.com/astral-breakers. We'll be lifting off for the Wii U eShop this summer, so keep your eyes peeled for us! What did you think of our latest interview? Also are you looking forward to Astral Breakers? Let us know your answers to these questions in our comments below! Re: Interview: Intropy Games Talks With Us About Their Upcoming Wii U eShop Title Astral Breakers! Great article! I'm really surprised that the Wii U eShop really doesn't have any decent puzzle games yet, hopefully that'll change when Astral Breakers releases. Great exclusive! WiiWareWave needs more of these.